Persona 4 Arena Ultimax is one of the new Persona games coming out later this year. 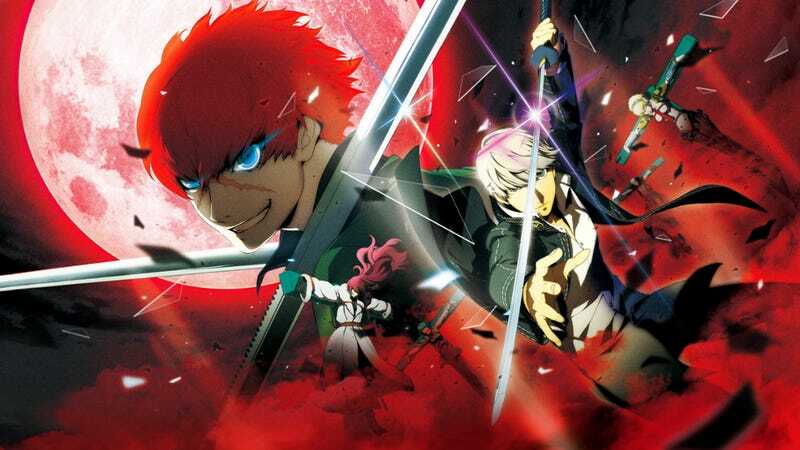 The sequel to Persona 4 Arena, the new game is adding new features and new characters. One of which completely spoils the original JRPG. In this week's issue of Weekly Famitsu, Persona series developer Atlus revealed some of the latest character additions to their new fighting game sequel. From Persona 3, the dog, Koromaru and the young boy, Ken Amada will be added to the roster. Amada will be portrayed as an older, junior high school version. One more additional character from Persona 4 was announced as DLC, and the information about him pretty much spoils a major plot point of Persona 4. Seriously, if you've never played through Persona 4, you're not going to want to read beyond here. Trust me. Turn back and go play one of the best JRPGs ever. The overarching plot of Persona 4 involves a series of murders. The story pretty much starts with the mysterious death of a TV announcer. From there, the protagonists work together to try to find and stop the phantom serial killer. Pretty much 3/4th of the game is spent trying to prevent further murders and hunting down the elusive culprit. The Persona 4 Arena Ultimax article in this week's Weekly Famitsu completely gives away who it is. The detective, Tohru Adachi is scheduled as a DLC character for the game, along with an Episode "Adachi" story mode that allows players to see events in the game happen from Adachi's perspective. There's even a premium "Tohru Adachi Edition" of the game that includes the DLC. If you have never played Persona 4 or haven't played up to the reveal, even without spoilerific imagery – of which there is – the mere fact that attention is being paid to this seemingly innocuous secondary character is going to raise potential plot-spoiling flags for you. Yes, Persona 4 is a classic that came out 6 years ago. Yes, everyone and their brother should play it. Still, I don't think that means it's safe to reveal one of the pivotal plot points of the game. Especially when you already have plans to re-release the game on the PS3. It's kind of ironic considering Atlus' recent plea that people not spoil the plot of Persona Q. That said, Persona 4 Arena Ultimax is probably going to be pretty awesome. Persona 4 Arena Ultimax is scheduled for release on the PS3 later this year.